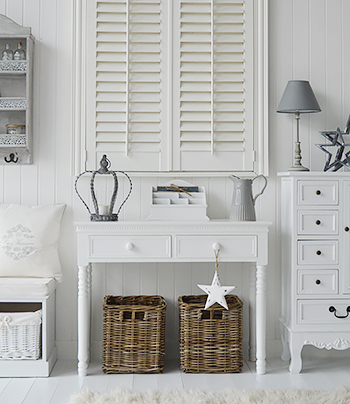 The White Lighthouse offers a range of New England furniture for the bedroom, living room bathroom and hall at affordable prices. 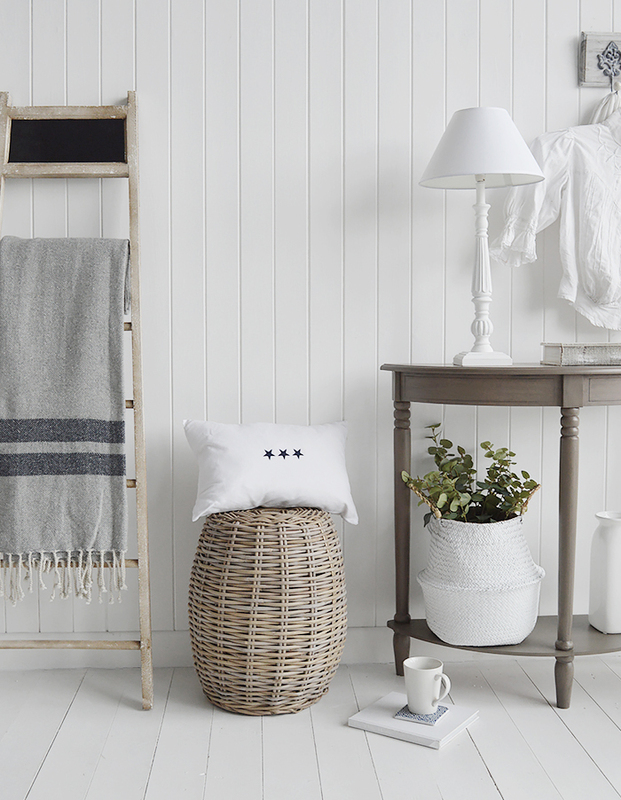 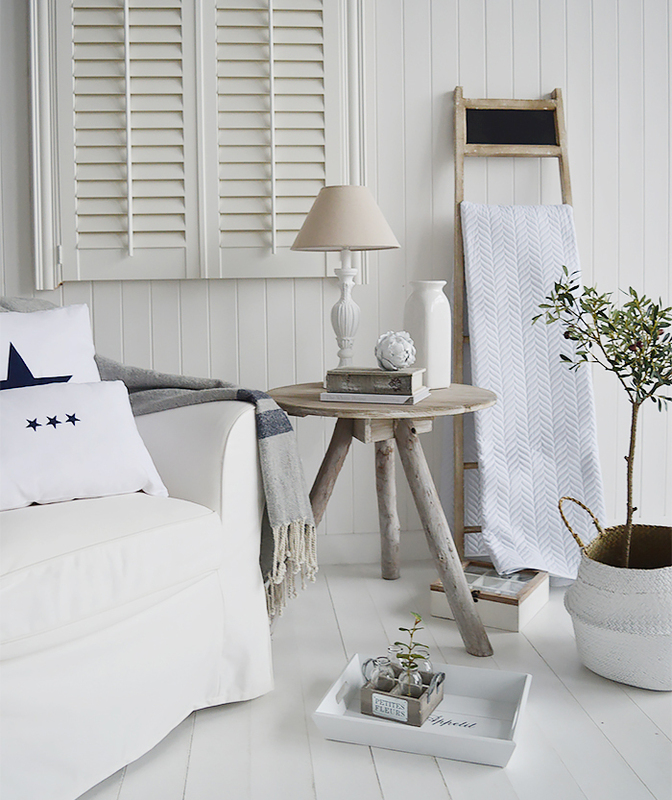 Create the classic beach house style. 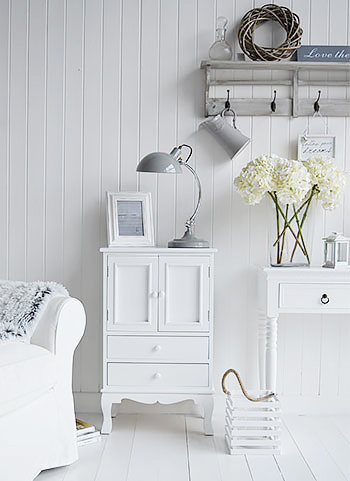 Browse the website to see all our New England and white furniture or go to our 'Be Inspired' section for some ideas. 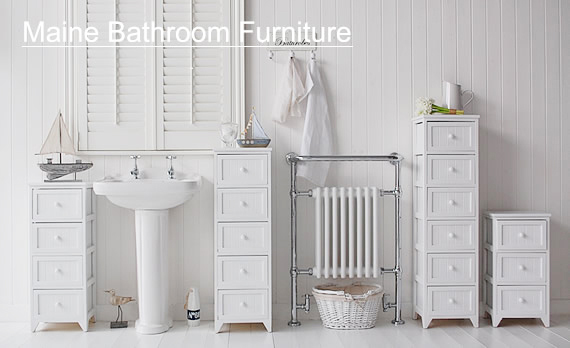 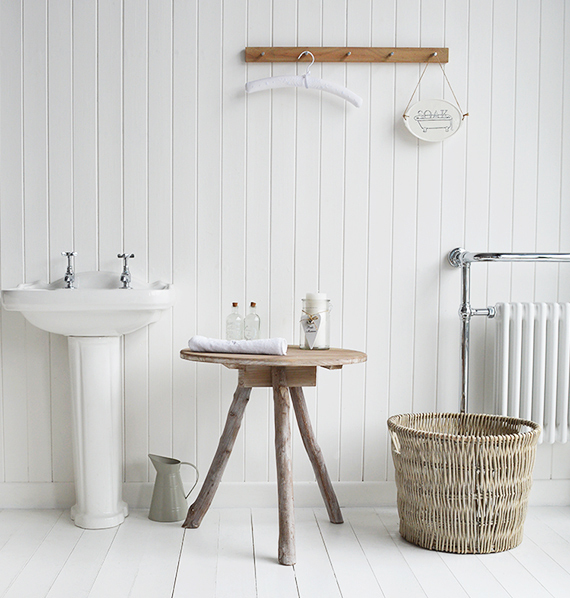 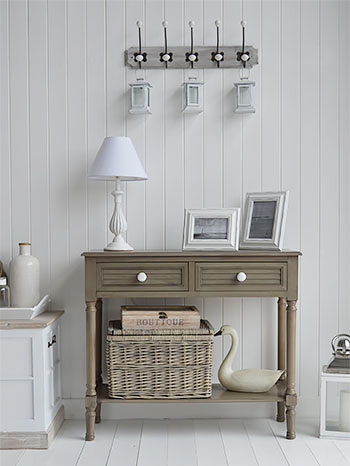 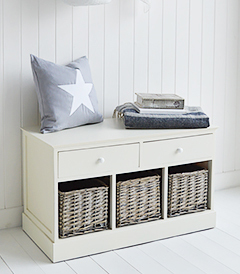 Maine white bathroom furniture with smooth tongue and groove panelling in bright painted white. 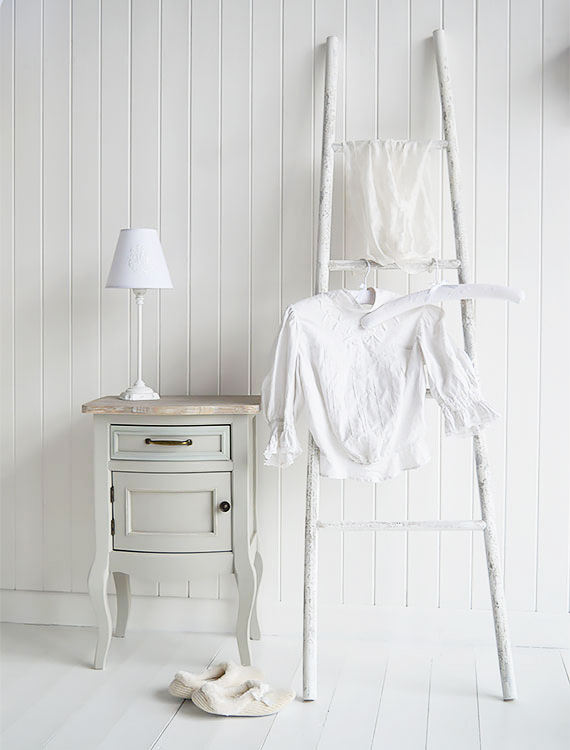 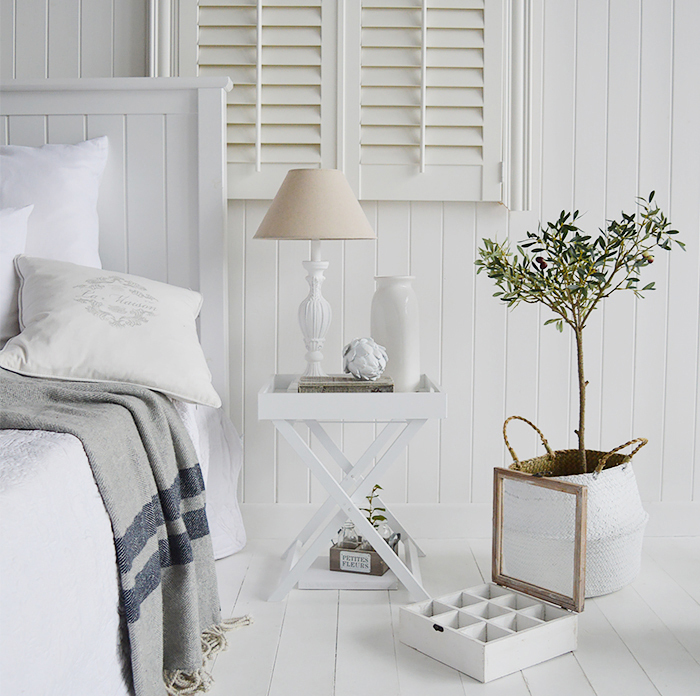 A beautiful white bedroom reminiscent of the elegant Hamptons area of New England. 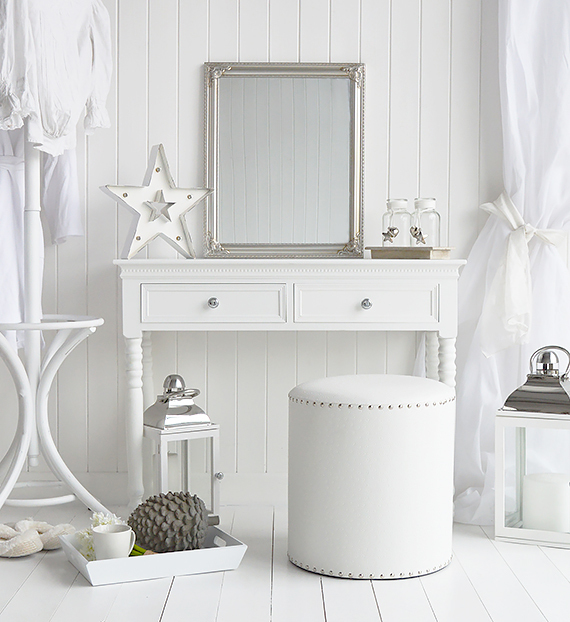 Pictured is a dressing table with white stool and silver accessories.